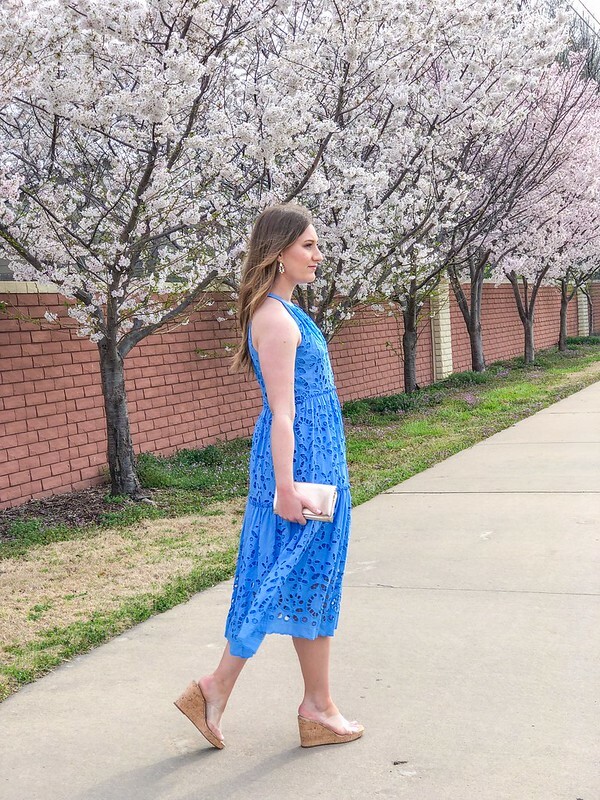 As we head into Easter week, I am going to share a different look with you guys each day to hopefully inspire you for your Easter outfit. 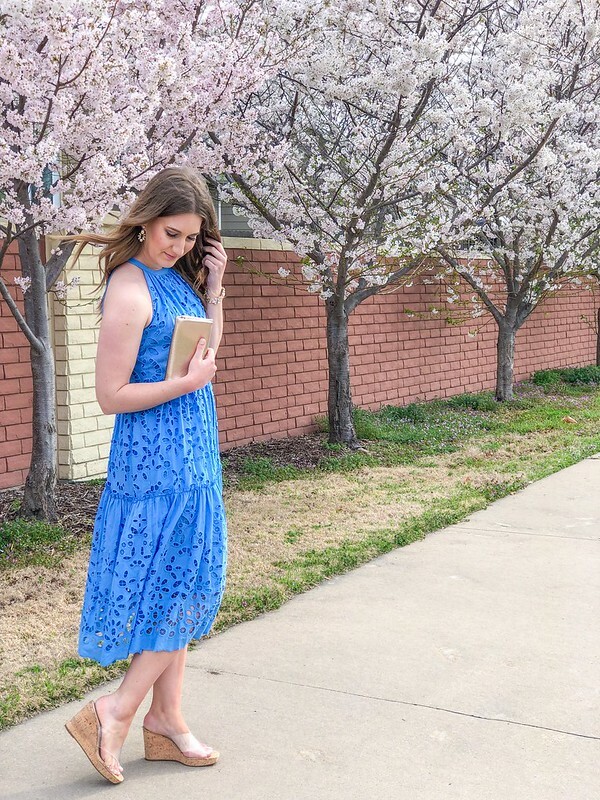 I love the eyelet lace of this dress and the clear wedges add the perfect touch of being on trend. When I found these wedges I instantly fell in love with them as they made me think of a modern day version of Cinderella’s glass slippers. This dress would also pair perfectly with a cardigan if Easter happens to be a bit cooler where you live.